Mosquitoes have been around for millions of years with natural enemies in the outdoors. Many different types of fish feed on the mosquito larva, along with bats, dragonflies, and prey mantis. even though we have these and many more predators of the mosquito you still need to hire a pesticide professional to rid your yard of mosquitoes. 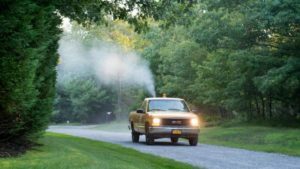 Mosquito Enemy has 3 options to achieve mosquito control in Andover and surrounding cities and towns. Our most popular is our very own barrier spray to foliage that reduces your yards mosquitoes by up to 93% this needs to be reapplied every 21 days. Some home owners prefer our all natural barrier spray for mosquito control. 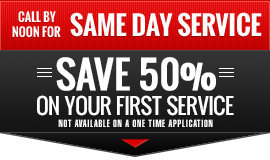 Our all natural barrier spray has a 80% effectiveness and needs to be reapplied every 14 days. Mosquito Enemy can install a custom designed mosquito control misting system in your yard that will deliver a mist at the most opportune times throughout the day to rid your yard of mosquitoes. Mother nature, much like the team at Mosquito Enemy, has always had an all-star lineup when it comes to mosquito control fighting technicians. From birds like Purple Martins to bats, dragonflies, spiders, fish, and frogs, the natural mosquito hunting team can often be found right in your backyard. So, who are the predators? Bats: The first of the mosquito hunters are bats. While bats are one of the most renowned eaters of mosquitoes, they are far more effective at locating, catching and eating other insects. Birds: Avians are one of humanities best friends when it comes to consuming mosquitoes. Purple Martins, swallows, and waterfowl (like geese, terns, ducks) stand at the apex of winged mosquito eaters. Even more so, many birds are known to eat both the adult and aquatic stages of mosquitoes. Fish: For those who didn’t know, fish are actually big mosquito eaters! There are many types of fish that feed on mosquitos, especially the mosquito larvae. Some of the big eaters include guppies, bass, bluegill and catfish. But, the leader of the predatory fish has to be the Gambusia Affinis, which is commonly known as the mosquito fish. Frogs: Though mosquitoes do not often make up a large part of their diet, frogs and tadpoles do help eat away at mosquito populations. Not many species of frogs are known for eating many mosquitoes as tadpoles, generally preferring to feed on small, suspended particles of plant-related materials instead. Dragonflies: Though harmless crane flies often called “mosquito hawks,” that name truly belongs to dragonflies. Though they do eat mosquitoes, Dragonflies often do not eat enough to put large dents within the wild mosquito populations. Even so, during the dragonflies’ aquatic stage a large bulk of their food consists of mosquito larvae. Predacious Mosquitoes: An amazing fact about mosquitoes is that some species will actually prey on other mosquitoes. The genus Toxorhynchites, or “elephant mosquito” is the most well known of the predatory mosquito species. 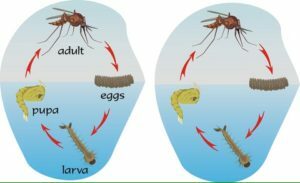 This certain species of mosquito have larvae which are predacious on other mosquito larvae all the while adults are not known to transmit disease. They also do not consume blood! Spiders: Spiders are one of the many of the opportunistic predators of mosquitoes. Spiders only truly become mosquito predators when a mosquito inadvertently flies into its web. Here’s a fun activity: next time you go outside, either alone or with company, try and make a game out of finding as many members of Mother Nature’s mosquito eaters as possible! When it comes to chowing down on mosquitoes some of these predators can consume enough to noticeably reduce the population in an area, while others eat so few that you can barely tell a difference. Each one of these predators do make welcomed contributions to fighting mosquitoes. Ticks become active as soon as the air temperatures reach 55 degrees in Andover and surrounding areas. So I thought today would be a great time to talk to you about proper tick removal. First make sure you have fine tipped tweezers to grab the tick as close to the skin as possible. Once you have a strong grasp as close to the skin pull straight up with good even pressure. No jerking or twisting as this may cause the mouth part to break off in the skin. If this happens remove the mouth parts with your tweezers. If you can not remove the mouth parts easily let the area heal naturally. Once the tick is removed clean the area with rubbing alcohol, then with soap and water or a iodine scrub. Larvicides or Adulticides For Mosquito Control Which One Is The Correct Choice For Me? Before we can answer this question we must first understand how larvicides and adulticides are different. Where do mosquitos lay their eggs and rest during the day? Larvicides are products used to kill the eggs, larva or pupae of the mosquitos before they turn into adults. The Larvicides can either be a biological or chemical product. Larvicides are introduced right into the water that holds mosquito eggs, larvae or pupae. When applied the overall population of mosquitos will be greatly reduced. Adulticides are products used to kill adult mosquitos. There are different types of equipment used to treat infected areas such as truck mounted foggers, airplane sprayers, hand-held sprayers and misters. When adulticides are applied by a Mosquito Enemy licensed and trained technician you will notice an immediate reduction of mosquitos thus reducing the infected mosquitos that could possibly transmit West Nile Virus or EEE. Mosquito Control Andover, MA Will Be Needed Soon! As I write this letter snow is in the forecast for once again this week, and it’s a warm 22 degrees outside. To all of us it seems like this winter will never end. Oh how I long for those April showers that bring mayflowers!!! Wait a minute mayflowers bring Mosquitoes, Ticks, and Fleas but there is no need to worry this year as Mosquito Enemy has the products and skilled technicians so that you can enjoy your outdoors free of these vector insects. Tick control Andover MA or any of the surrounding cities and towns Mosquito Enemy has you covered. We can rid your yard of either Mosquiots or Ticks with a barrier spray made from the flowers of the African Crysanthemum. Which is exactly why we call ourselves Mosquito Enemy. We want to eradicate as many swarms of these nasty, tiny little beasts as we can. 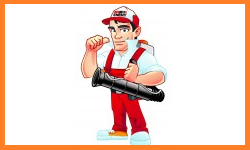 When it comes to mosquito control, we are driven to protect you, your family and even your pets against them and the diseases that they can carry. We are Eastern Massachusetts’ and Andover‘s best in mosquito control. With almost two decades in the pest control business, Mosquito Enemy is a seasoned veteran in the fight against mosquitoes and ticks. If you believe you have a problem with either of these pests, call for a personal consultation. We are happy to help with a customized plan to help keep your home and family protected against the tiny yet dangerous creature.